The first fish I ever caught was a trout, and I'm certain that many veteran anglers would say the same. 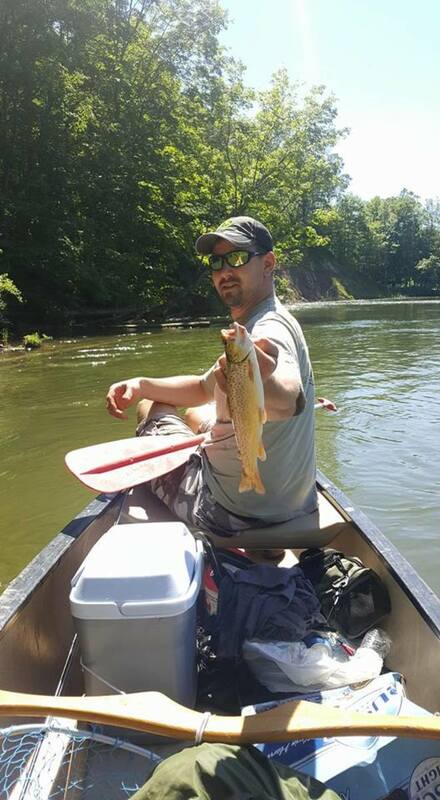 Trout are a great target species for many reasons. For one, they are available in all 50 states, in both wild and stocked populations. Also, the gear and experience necessary to get started is minimal. Trout put up a solid fight, are apt to bite nearly year round, and taste delicious. Admittedly, there are actually hundreds of kinds of trout. 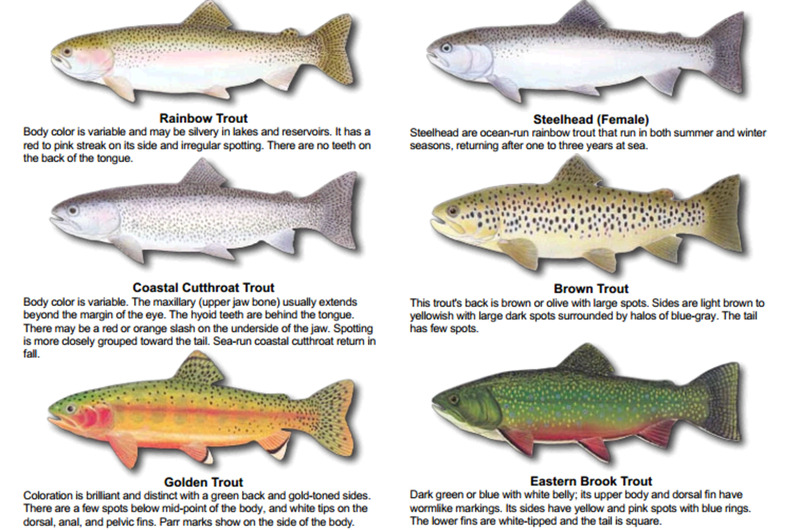 Some of the most common are: Rainbow trout, Brown trout, Cutthroat trout, and Brook trout (not actually a trout). From these, there are hundreds of cross-bred species and sub-species, some particular to single rivers or streams. For the sake of simplicity, I'll be using the term "trout" fairly loosely, as much of the same information pertains to all species. While you won't need to shell out the small fortune many anglers pay, you will need some basic gear when fishing for trout. When I outfitted new anglers at the fishing shop, I advised them to expect to pay around $150 for a quality set of all required fishing gear, not including license. It may seem like a lot of money to go fishing, but believe me, quality gear makes all the difference. A fishing trip with cheap or defective fishing gear is going to ruin the experience, and likely catch fewer fish. All of my gear suggestions are simply that, suggestions. They will provide the best trout fishing experience, but if you find a great deal on a slightly heavier rod, or slightly smaller real, feel free to fudge my suggested numbers a little. Those are the basics. As far as brands go, everyone has their favorites. You can't go wrong with Shimano reels. 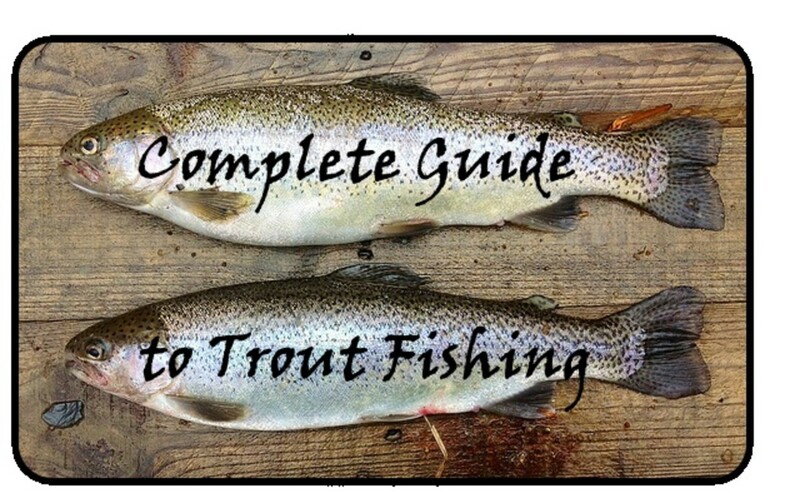 For a more in depth look at beginning trout set ups, check out my guide on Trout Fishing Gear to Get You Started. The Shimano Sedona is my number one recommendation for a first spinning reel. It packs in many of Shimano's higher end features in an affordable package. 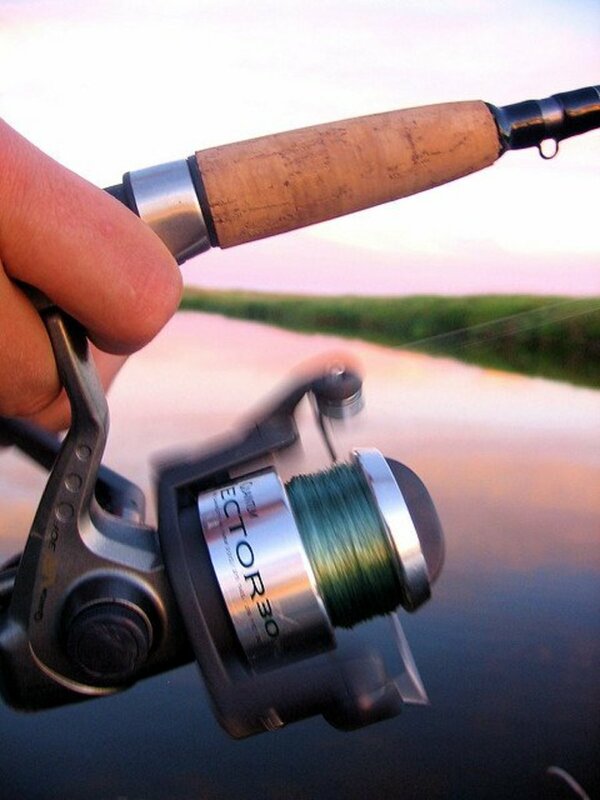 It will handle trout with ease, but also be a reliable spinning reel for many other freshwater species. I've had a couple for over ten years that still work like they did on day one. "Best reasonably priced freshwater spinning reel out there, hands down!" Bait: Powerbait, worms, salmon eggs etc. 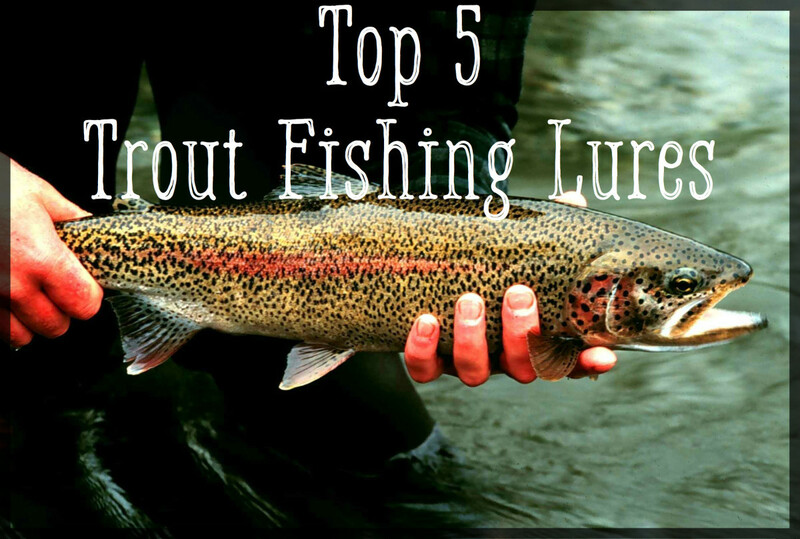 For more information, check out my guide on Top 5 Best Trout Baits. For a complete run-down of my favorite top producing trout fishing lures, check out my Top 5 Best Trout Lures. My number one recommendation for a first trout spinning rod-- Fenwick Eagle. These spinning rods outperform numerous higher priced fishing rods. They are constructed out of quality graphite, have durable cork handles, stainless steel eyelets, and a 5 year warranty. You can't find a more responsive, higher quality rod for the money. If I felt so inspired, I could carry on this section for an entire book, and maybe someday I will, but for now, I'll try to keep it concise. I'll summarize trout fishing techniques in three categories: Bait fishing, Lure fishing, and Trolling. Bait fishing refers to static fishing. You present the trout with a bait, either live, dead, or artificial, and wait for a strike. If you know where the fish are, it can be very productive. If not, you may not get a nibble all day. Bait fishing for trout can further be simplified into two more sub categories: Floating baits and sinking baits. In general, all natural baits sink. Moreover, assume all baits sink unless it is specifically labeled as floating bait (only artificial baits generally). If your bait sinks, suspend it under the surface using a float or bobber. See Sinking Bait Trout Rig. If the bait you choose to use floats, suspend it over the bottom. See Floating Bait Trout Rig. The type of bait and presentation you choose to use is vary much subject to the conditions. A general rule is: Use sinking baits near the surface during the early morning and evening, and floating baits deep during mid day. Lure fishing involves casting a trout lure out into a stream or lake and reeling it back in. Different lures exhibit different behavior in the water, meaning it is good to have a variety to target fish in their various moods. 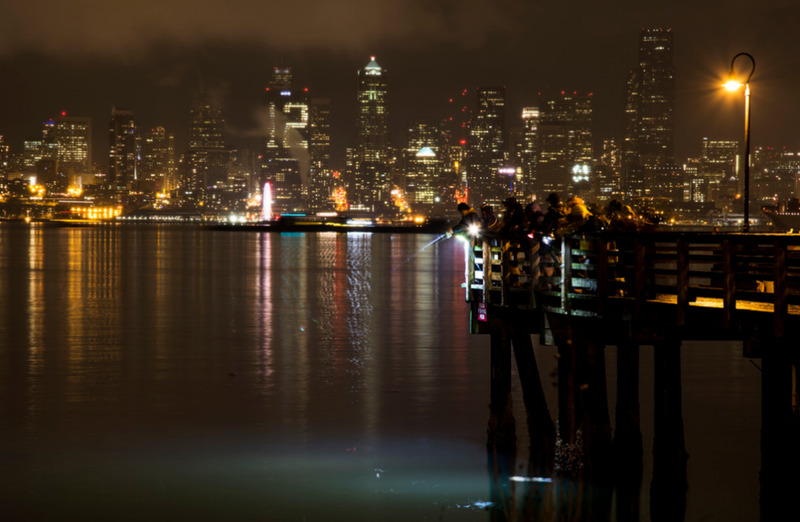 Lure fishing is effective for covering a large amount of water in a small amount of time. It is also more active that bait fishing, and personally, more fun. Most lures are heavy enough that you do not need any additional weight. Simply tie one one, cast, retrieve, and repeat until you have a fish. Since each lure behaves differently in the water, experiment with retrieval speeds until you find the sweet spot for the lure, you'll know it when you see it. The third and final technique of trout fishing is trolling. Trolling is a bit of a compromise between bait fishing and lure fishing. Trolling involves casting a lure behind a boat, and then pulling the lure through the water with the boat, either with a motor or by paddling. Trolling is often done with electric motors, but canoe and kayak trolling can be especially effective as well. Once the lures are in the water, just drive/paddle around the lake until you get a bite. A word of caution: Trolling Strikes often hit hard, so either use a rod holder or make sure the rod is in your immediate possession! When fishing on a new lake, trolling is often the best method to locate where on the lake the fish might be holding. 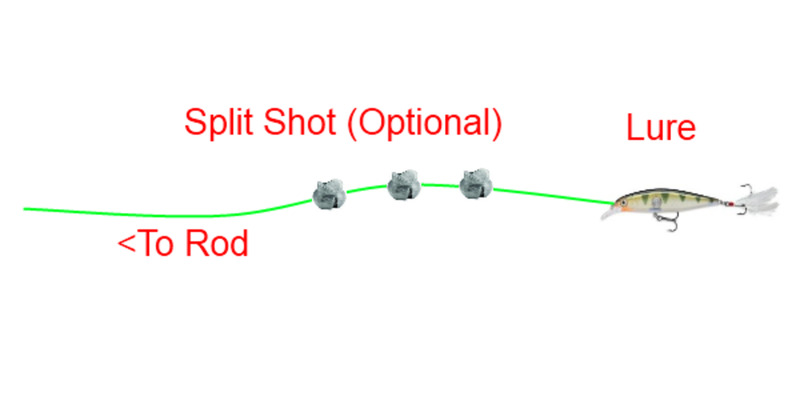 Split shot are optional, either to get more casting distance or to sink the lure deeper. Be aware adding split shot may affect the lures action. I can't say enough about Panther Martin spinners. If I had to bet a trout fishing trip anywhere in the country on one purchase, it would be the Panther Martin Best of the Best Kit. They have caught more trout for me than any other lures. "If there's trout in a stream, the Panther Martins will catch them." So you have your gear, and you know what you're doing, but where will you go? Well, the resources here are limitless. If you happen to live in Washington State, just ask, and I'll give you some personal suggestions. If not, your two best resources are your local fishing store and your state's Fish and Wildlife department. As far as the local fishing store goes, the guys know where the fish are but the amount of insider information they are willing to give is likely directly proportional to the amount of gear you are buying, at least until they know you. So grab a few lures and then ask questions. As for the Fish and Wildlife Department, they are generally a fair bet year round. Other options include asking around at work if you know any fishermen, or Googleing fishing forums for your state. 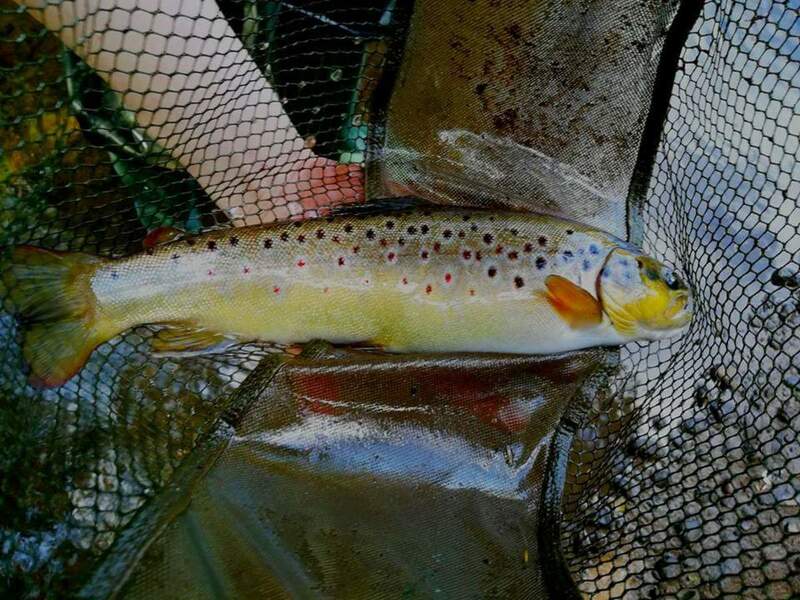 Fortunately, as mentioned before, trout thrive in every state in the country, so chances are you have a lake not to far from where you live that has a decent trout population. First off, make sure the lake you plan on fishing is in season. 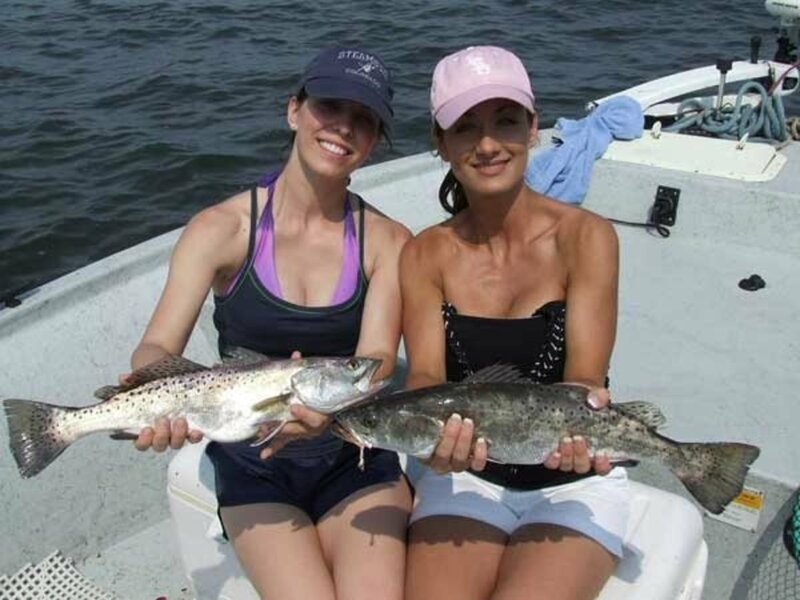 Most states have a general fishing season. That being said, most states also have fisheries that are open in the off season, and fisheries that are open year round. To check the season for the lake you plan on fishing, either call your state's Fish and Wildlife office, or read your state's fishing regulations. 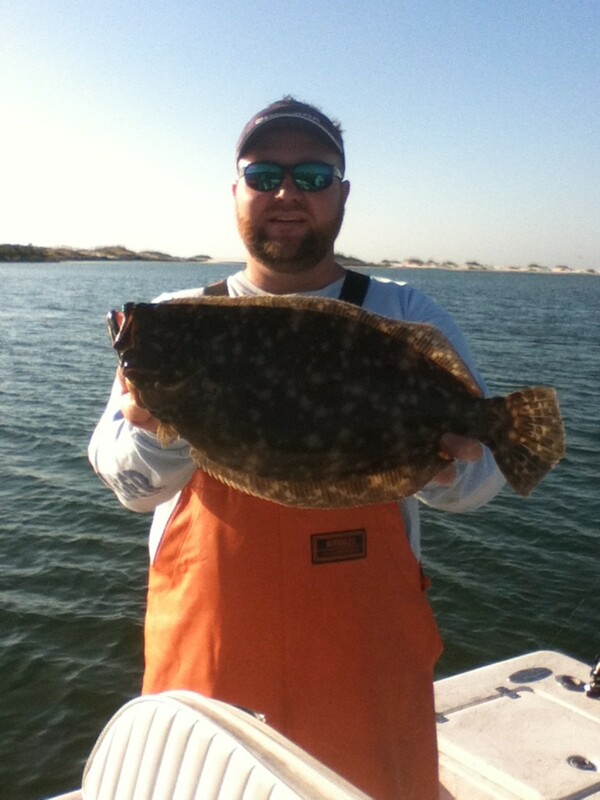 If the lake you were planning on fishing is currently out of season, inquire about local lakes that are in season. 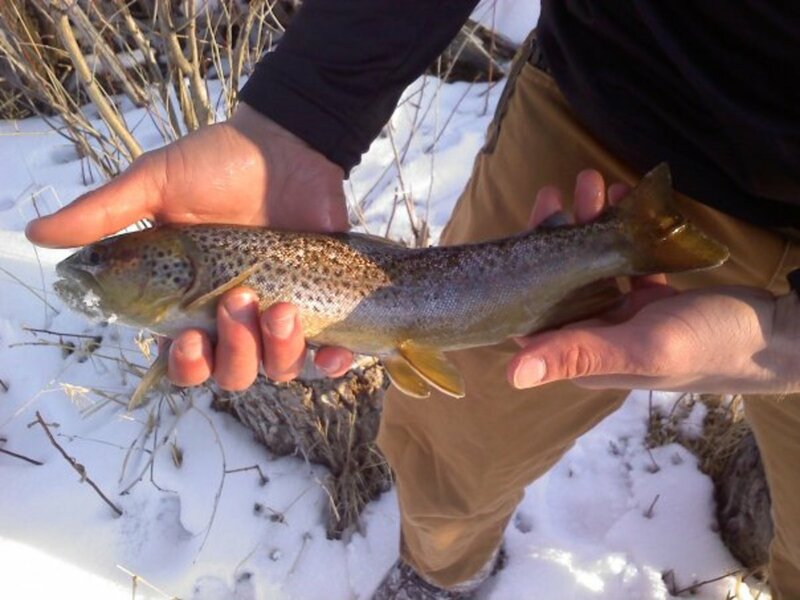 Fortunately, there are many year-round trout fisheries across the country. So that sums up the time of year to fish, but what about time of day? 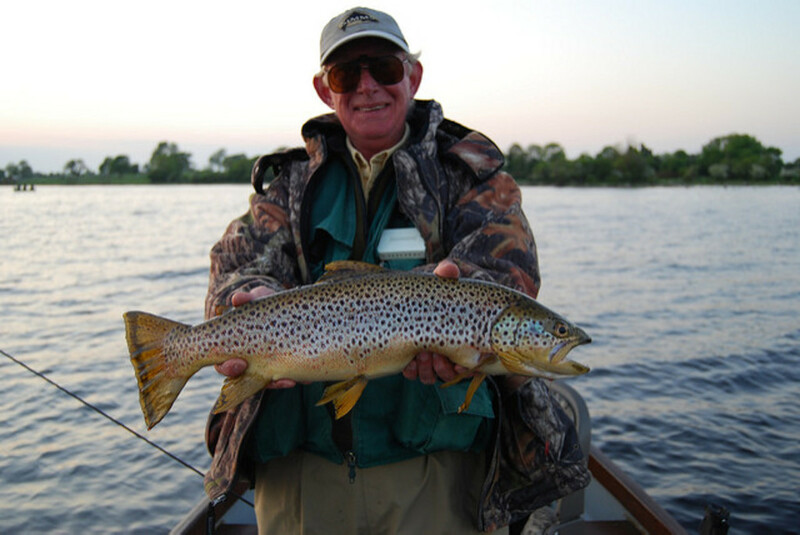 In general, Morning and Evening are best, although trout can be caught all day long. Additionally, often Midweek is better than weekend, as the lower angler presence will have fewer of the trout spooked, and a spooked trout rarely bites. Ok, so this is where I get to list off all those little things that will help give you an edge on the lake! Talk to the Locals: if you are polite, respect their space, and come across as genuinely interested, another angler will almost always lend advice. Even better, compliment their catch and pad their ego a bit, fisherman are a proud breed, and if you make them feel good about themselves, they will likely help out. Know the Regulations: Nothing puts a damper on a fishing trip more than a ticket. Use Scent Liberally: and then add a little more. Keep Your Line in the Water: Time spent re-baiting, untangling a knot, or worse yet, making phone calls and texting, is time you aren't fishing. Make the most of the time you have and keep your line in the water. Buy Good Gear: Fishing gear really isn't something you want to go bottom-end on. You don't need top of the line, but be willing to spend a little. Don't be Fooled by Ridiculous New Product: There are a lot of gimmicky fishing products, don't bother with them, they don't work. When I worked at the fishing shop we would always say, "Lure companies don't build lures to catch the fish, they build lures to catch the eye of fisherman!" don't fall for the gimmicks, it's a waste of time and money. Read More: When you can't be fishing, read up: books, articles, magazines, reports etc. You never know where you'll pick up a new tip. 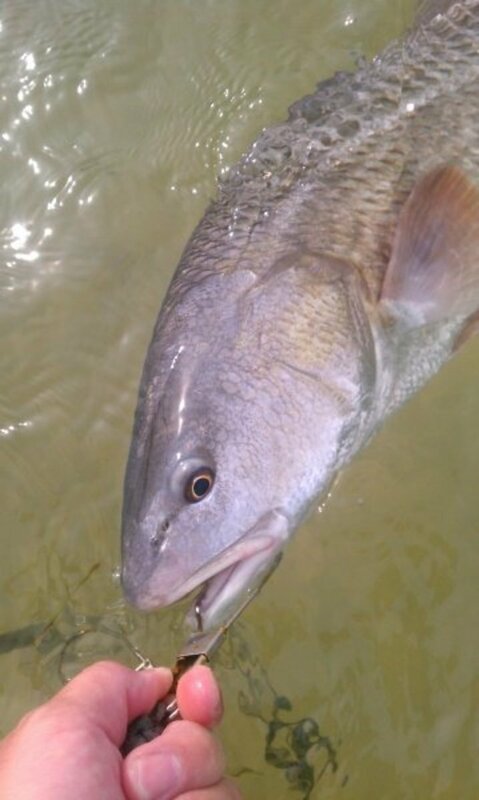 Take a Friend Fishing: Not only will you have someone to bounce new ideas off, but another rod in the water increase your chances of catching fish. Adapt: If what you're doing isn't working, switch it up. Don't drown worms for 4 hours straight if you aren't getting bites, try something new! Ask Questions! Feel free to leave comments or questions in the comments box, or click the 'Contact the Author' link at the top of the page. I promise I will get back to you. And if you have a successful trip, I'd love to hear about it! I know that trout have very keen sight. I’ve seen them break over a foot out of water for a mosquito. 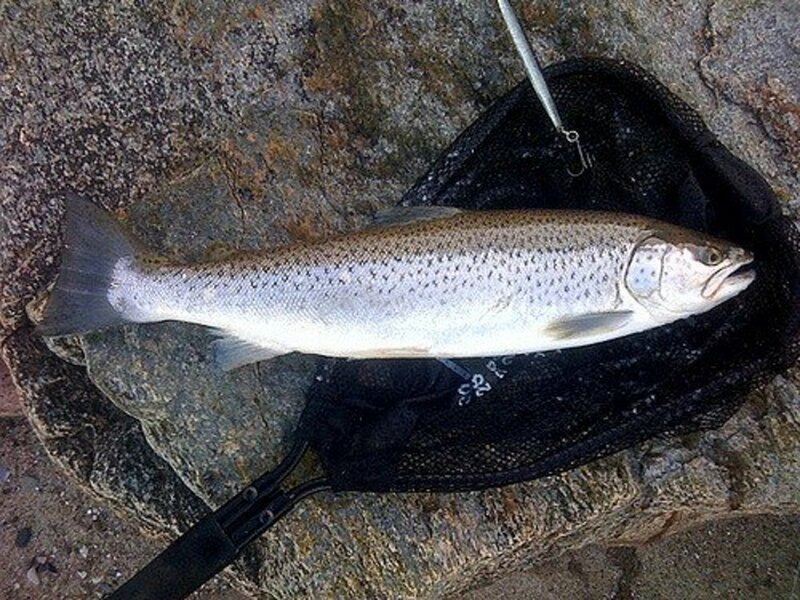 I like to use an 8 lb test line when fishing a trophy trout steam for larger 2 to 10 lb fish. I would like to use a smaller diameter line but don’t want to lose a hog due to line breaking. The stream has rainbow, brown, golden and a few brook trout. What would you suggest? Thoroughly enjoyed your writing! I recently retired and my priorities are changing. Thank you for adding fuel to my fire; it's time to dust off my ultralight spinning tackle and get out there again! Great hub. Well organizd and lots of good information. Should I assume the focus is on fishing lakes or larger rivers? I've fished brook trout in tiny streams. Ling cod, wow! I have caught a couple from the rocks or jetty near Newport, Oregon. Takes a bit of practice to find and lure them. My brother and nephew go and do quite well in their "secret" spots. I know what they use for bait, and I know where they go. I want to hook up with them sometime and get one of those babies for bragging rights. Great eatin', too. Natural baits that are part of the trout natural diet are always a great call, plus I just feel better about natural baits than those plasticky thing haha. I'll fish just about anything, I think the next hub is going to be on Lingcod fishing, its a pretty niche fishery, but one of my favorites! (My profile pic ) No doubt we would find lots to talk about! Huntnfish, great hub. It is clear you really have a passion for trout fishing, one I too can appreciate. You have covered quite a bit of territory in your hub. Good basic information. 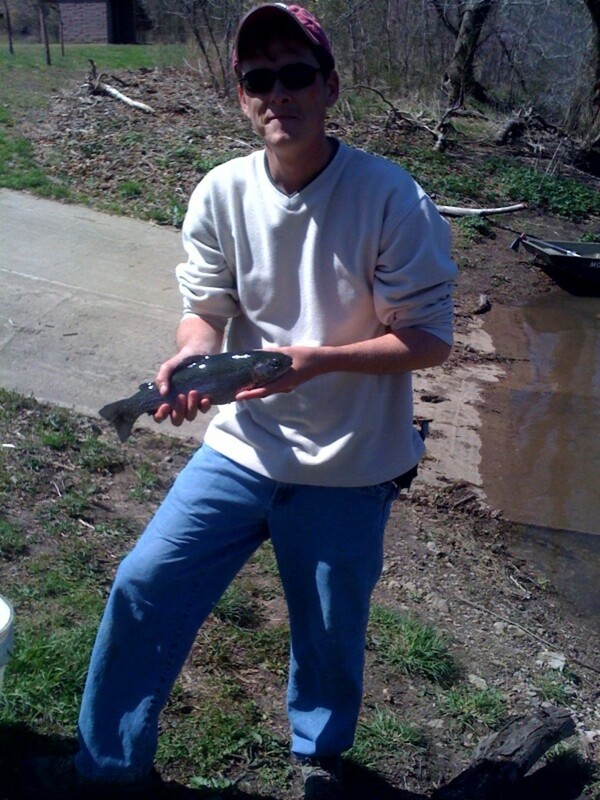 I have caught trout on all kinds of things, but I have always been partial to drifting bait for trout. I like using naturally occurring bait already in the stream, like crawdad tails (peeled) and caddis larvae, not to mention the old standby, worms. Also, in August, small grasshoppers are dynamite. I think you and I could have a great conversation if we were able tosit down together and swap stories. Best of luck to you in your trout pursuits.